It's hard to believe there was once a time when we might have felt like losers for taking a night in rather than going out. Yes, we'd sit on the couch with our beverage of choice, cue up the DVR, lounge in our comfy pants and sigh, "I bet other people are doing things more interesting than I am." But not anymore. Now, we have Twitter and Instagram. Now we can make any otherwise insignificant activity seem like an event in and of itself. 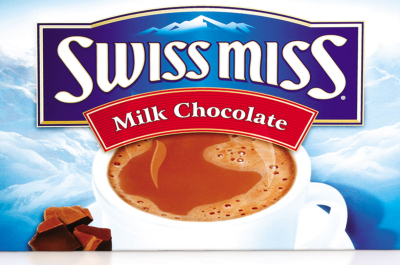 An average night at home can turn into a Christmassy wonderland in just a few moments with the addition of some instant Swiss Miss hot chocolate, a DVD of Elf and the "Rise" filter. Things like reading, cooking dinner or writing thank-you notes may seem mundane, but simply documenting our activities can make them into A Thing when previously they were perhaps not so special. "Spending the evening writing thank-you notes with a glass of wine while Mariah serenades me! #thisisthelife"
"Relaxing night reading my favorite book with my favorite people! [insert Instagram photo of a book page and family in the background]"
I myself have taken part in this numerous times, and I submit that this is actually a positive thing. It's optimistic. Suddenly "man, I have to write thank-you notes" or "man, I have nothing to do tonight" turns into a little space you've created and added comforts to to make your night feel special. And let's face it, the likes and comments don't hurt. If someone else says your night is interesting, then it is. Y'know? It's irrefutable. It's in writing, on the Internet. I'm not saying I'm proud of it, but I have definitely assembled inanimate objects to represent an experience a time or two. But…I just really like Instagram, you guys. It's fun. And I'm not against things that are fun. Have you ever used Twitter or Instagram to make your otherwise-average experience A Thing?